The Gershwin prize was created and first awarded by the Library of Congress in 2007 under the leadership of Librarian of Congress James H. Billington to recognize “the profound and positive effect of popular music on the world’s culture" as part of the Library’s mission to recognize and celebrate creativity. The recipient of the Gershwin Prize is said to:"exemplify the standard of excellence associated with the Gershwins." In selecting the recipient, the Librarian of Congress works with staff of the Library’s Music Division as well as the broader music community. 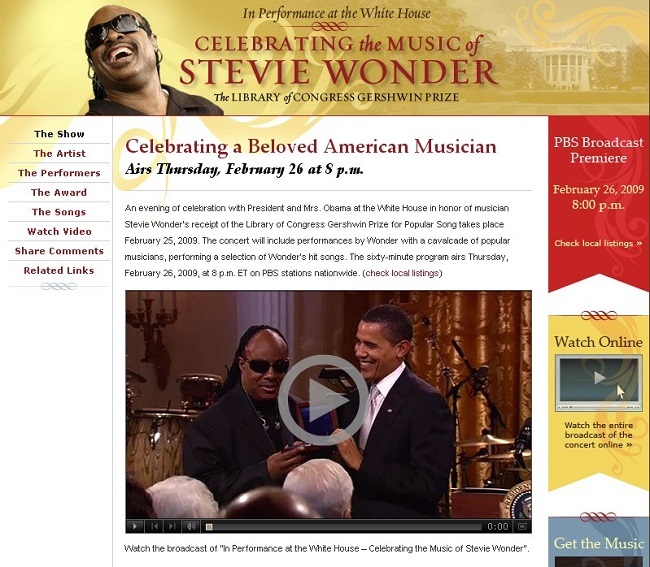 Library of Congress Blog － Stevie Wonder ‘Sketches of a Life’ Webcast Now Live!